Reproductive factors may influence breast cancer progression and patient survival; however, evidence has been limited. 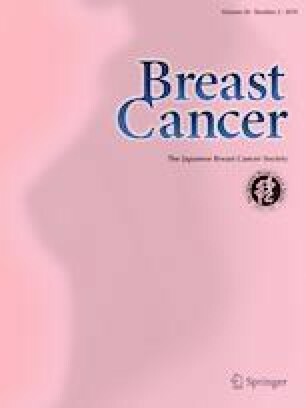 The associations of reproductive factors with tumor characteristics and patient survival were analyzed among 1468 breast cancer patients diagnosed during 1997–2013 at a single institute in Japan. The patients were followed until 2016. During a median follow-up period of 8.6 years, 272 all-cause and 199 breast cancer deaths were documented. In case–case comparisons, later age at menarche was inversely associated with advanced tumors. Nulliparous patients tended to have receptor-positive [estrogen receptor (ER)+ or progesterone receptor (PR)+] tumors. Conversely, the Cox proportional-hazards model including adjustment for tumor characteristics revealed U-shaped relationship between parity number and the risk of all-cause death among the patients overall [hazard ratio (HR) = 2.10 for nulliparous, 1.28 for 2, and 1.50 for ≥ 3 vs. one child]. According to hormone receptor, later age at menarche and later age at last birth were positively associated with the risk of all-cause death among patients with ER– and PR– cancer (menarche, HR = 2.18 for ≥ 15 vs. ≤ 12 years, ptrend = 0.03; last birth, HR = 3.10 for ≥ 35 vs. ≤ 29 years, ptrend = 0.01). A shorter time since last birth was associated with the risk of death among receptor-positive patients (HR = 5.72 for ≤ 4 vs. ≥ 10 years, ptrend = 0.004). The results indicate that the timing of menarche and parity have significant effects on patient survival, providing clues for understanding the association between women’s life course and breast cancer outcome. We would like to express our appreciation to Dr. Takeshi Okabe and Ms. Misako Takahashi, who cooperated in setting up this study. This study was supported by Grants-in-Aid from the Japan Society for the Promotion of Science (JSPS) for Scientific Research: (B) (23390169) and (B) (16H05240).